We LOVE Mexican food, so when I came across the idea to use Quinoa in a Mexican dish, it became an obsession. I am happy to present you the finished product! It looks a little overwhelming but once you read through the directions you will realize just how simple I have condensed the steps. When indulging in cheese we try to opt for goat’s milk cheeses because they are more easily digested by our bodies than cow’s milk products. As for the sour cream, it didn’t make much sense to make a dairy free version out of cashews if I was already adding cheese…so cow’s milk sour cream it was. Fry the onion in butter or coconut oil over medium heat until translucent, about 5 minutes. Add garlic and cook 1 minute longer. Transfer to a blender and add the rest of the ingredients. Blend until smooth. Set aside. Place quinoa in a saucepan along with 2 cups of water. Bring to a boil and then turn down to a simmer. Once the liquid is almost gone, turn off the heat and cover. Meanwhile, fry the onion in butter or coconut oil over medium heat until translucent, about 5 minutes. Add the rest of the ingredients and cook 7-10 minutes or until desired. 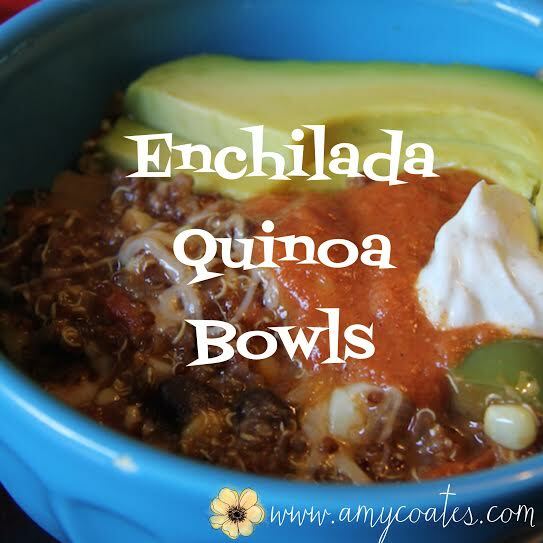 Remove from heat, and mix in quinoa along with 2 cups of enchilada sauce. Place in an oven safe dish and top with cheddar and mozzarella. Cook at 350 for 10 minutes or until cheese has melted. Serve topped with extra enchilada sauce and/or cumin sour cream.